Ailbhe Ní Bhriain works with film and photography to explore ideas of identity, representation and displacement. Underpinning her practice is the connection between the constructed nature of the image and the constructs attached to cultural and collective identity. Using collage, CGI and ad–hoc props, she interrupts the believable space of the image and transforms archetypal or generic locations into a dreamlike theatricality. Victorian collections, classical statuary and west of Ireland landscapes are recurring motifs, brought together in unlikely combinations that unsettle familiar cultural associations. Ní Bhriain deliberately reveals the artifice of her process and draws the viewer into an impossible space where the binaries of internal and external, fixed and floating, surface and depth no longer apply. These hybrid, multilayered spaces – from abandoned airports housing rudimentary landscapes to flooded libraries inhabited by birds of prey – tend to resemble interior landscapes or half constructed stage–sets; it is left unstated however whether these represent the remnants of a place or vision come undone or a new ideal in the process of being constructed. The films are staged as multiscreen installations and incorporate commissioned sound and, increasingly, improvised musical performance. : PhD by Practice in Fine Art, Kingston University, UK. : MA (distinction) Fine Art, Royal College of Art, London. : BA (1:1) Fine Art, Crawford College of Art, Cork, Ireland. : Diploma (distinction) Fine Art, Crawford College of Art, Cork, Ireland. : Lecturer in Fine Art, MA Art and Process, Crawford College of Art & Design, Cork, Ireland. : Lecturer in Fine Art, National College of Art & Design, (NCAD) Dublin, Ireland. : Lecturer in Fine Art, Critical and Historical Studies, Crawford College of Art & Design, Cork, Ireland. : Lecturer in Fine Art, Kingston University, Kingston Upon Thames, Surrey, UK. : Great Good Places, Crawford Municipal Gallery, Cork, Ireland, curated by Dawn Williams. : Inscriptions (One Here Now), Visual, Carlow, Old Dublin Road, Carlow, Ireland; originally commissioned by Miranda Driscoll (One Here Now – The Brian O'Doherty/Patrick Ireland Project), curated by Emma Lucy O'Brien. : Inscriptions of an Immense Theatre, Temple Bar Gallery, Dublin, Ireland curated by Clíodhna Shaffrey and Michael Hill. Talk: Francis McKee in conversation with Ailbhe Ní Bhriain at Temple Bar Gallery on Wednesday 23 January 2019 at 5.30pm. : Inscriptions (One Here Now) solo exhibition as part of 'One Here Now, The Patrick Ireland/Brian O'Doherty Project' curated by Miranda Driscoll at Sirius Arts Centre, Cobh, Ireland. : Inscriptions, Galway International Arts Festival, directed by Paul Fahy, Galway, Ireland. : Reports to an Academy, domobaal. : Ailbhe Ní Bhriain, The Dock, curated by Sarah Searson, Carrick–on–Shannon, Leitrim, Ireland. : Ailbhe Ní Bhriain, Illuminations Gallery, curated by Aoife Tunney, Maynooth Unversity, Kildare, Ireland. : The Passenger, New Irish Works (two–person presentation with Aisling McCoy) at The Library Project, Temple Bar Gallery, Dublin, Ireland. : Reports to an Academy, Royal Hibernian Academy, Dublin, monograph publication with essay by Caoimhin Mac Giolla Léith and a live performance by Irene & Linda Buckley on Wednesday 25 November. : Ailbhe Ní Bhriain, Drogheda Arts Festival in partnership with NeXus Arts, former Methodist Schoolhouse, Drogheda, Ireland. : Great Good Places, domobaal (publication). : Ailbhe Ní Bhriain, Galway Arts Centre, curated by Maeve Mulrennan, Galway, Ireland. : Ailbhe Ní Bhriain, The Butler Gallery, curated by Anna O'Sullivan, Kilkenny, Ireland. : Cinesalotto, Villa Erba (summer house of Luchino Visconti) Cernobbio, Lago di Como, Italy 4/5/6 October, curated by Eleonora Diana. : Backyard Sculpture, domobaal, organised by Neil Gall and David Gates. : The Parted Veil, The Lewis Glucksman Gallery, Cork, Ireland, curated by Chris Clarke and Fiona Kearney. : Out there Out Where Outside, Boston Manor House, Hounslow, London. : Houlgate European Film Festival, programme curated by Simon Guiochet, Normandy, France. : Mythic Age, screening programme with Dakota Nanton, Shana Moutlton, Jake Mahaffy and Nadja Merena Vercin, curated by aCinema, Milwaukee, USA. : Horizons Variables, three person exhibition with Magda Gebardt and Guillaume Lepoix at Les Ateliers de la Ville en Bois, Nantes, France, curated by L'île d'en face. : Videoproject 17, at L'artothèque d'Angers, France, curated by L'Œil d'Oodaaq as part of the video art biennial Videoproject. : Periodical Review 7, Pallas Projects, Dublin Gallery Weekend 2017, Ireland, selected by PPS and RGKSKSRG (Gavin Murphy, Mark Cullen, Rachael Gilbourne and Kate Strain). : The Way of Objects, with Anthony Bodin, Samuel Buckman, Jimmie Durham, Rodrigo Cass, Michel Francois, Laura Gozlan, Max Hattler, Sinisa Ilic & Tina Gverovic, Pauline Payen, Babeth Rambault, Milos Tomic & Annegien Van Doorn, curated by Isabelle Henriot and Nyima Leray, Gallery Podroom, Belgrade, Serbia. : 2116 – Forecast of the next century, The Eli and Edythe Broad Art Museum at Michigan State University, USA, curated by Caitlín Doherty, Fiona Kearney and Chris Clarke. : Apertures, creating New, collecting Now, curated by Catherine Giltrap, The Arts Building Concourse, Trinity College, Dublin, Ireland. : New Irish Works, PhotoIreland Festival 2016, Paris Photo, Espace Lhomond, Paris. : Glissements (Landslides), Isabelle Hayeur (QB), Ailbhe Ní Bhriain, (IR), Anne–Charlotte Finel (FR), Yasmina Benabderrahmane (FR), curated by Chloé Dragna of La Vidéoteque (France) at the invitation of Virginia Lopez, director of PACA (Proyectos Artisticos de la Casa Antonio) at Museo del Ferrocarril de Asturias, Plaza Estaci´n del Norte s/n, 33212 Gijón, Spain. : Clonmel Junction Festival, installation of 'Passages' curated by Mary Hickson, Kickham Barracks, Clonmel, Ireland. : Festival Oodaaq screening of 'Passages' at l'Hôtel Pasteur, Rennes, France. : ND4J, screening of 'Window' with newly commissioned music by Morgan Daguenet, Arno Bruil and Robin Poligné at La Chapelle du Conservatoire, Rennes and Le GriGri, Nantes, France. : 2116 – Forecast of the next century, Lewis Glucksman Gallery, University of Cork, Ireland, curated by Fiona Kearney, Chris Clarke and Caitlín Doherty from an idea developed with Emma–Lucy O'Brien, Curator at VISUAL, Carlow, Ireland. : 'Great Good Places I' Festival de Cine de Villa de Leyva, Columbia. : Solas Prize Shortlist, Gallery of Photography, Ireland. : Experimenta 2015, screening of 'Window' Goethe Institut, Bangalore, India. : Tulca Festival 2015, curated by Mary Cremin, with Anne Maree Barry, Rhona Byrne, Mark Clare, Carol Anne Connolly, Colin Crotty, Culturestruction, Christo, Jason Deans, Michelle Deignan, Caroline Doolin, Angela Fulcher, Tue Greenfort, Martin Healy, Louise Hervé & Chloé Maillet, Allan Hughes, Brian King, Barbara Knezevic, Clare Langan, Nevan Lahart, Richard Long, Ruth Lyons, Maggie Madden, Maria McKinney, Dennis McNulty & Ros Kavanagh, Seamus Nolan, Seoidín O'Sullivan, Owen Quinlan, Oswaldo Ruiz, Sayler Morris, Anaïs Tondeur & Jean–Marc Chomaz, Michael John Whelan, Galway, Ireland. : Engage Arts Festival, with Cleary–Connolly, Fergus Byrne, Isabel Nolan and Patrick Michael Fitzgerald, Allin Insitute, Bandon, West Cork, Ireland. : The Manchester Contemporary, domobaal. : Passages, a collaborative work with Linda & Irene Buckley as part of Sounds from a Safe Harbour, a festival of music, art and conversation, curated by Bryce Dessner (The National) and Mary Hickson, Cork, Ireland. : Plymouth Contemporary Open, selected by Helen Legg, Sam Thorne, Judith Robinson, Sarah Chapman, Chris Cook & Alan Schechner; Peninsula Arts Gallery, Plymouth UK (catalogue).Plymouth, UK. : L'Œil d'Oodaaq, festival, 'Window' screened at three venues: Musée des Beaux Arts, Rennes, La Ville en Bois at Musée des Beaux Arts, Nantes, and La Grande Passerelle in Saint–Malo, Brittany, France. : Thin Place, Jonathan Anderson, Adam Buick, Ailbhe Ní Bhriain, Christine Mackey, Flora Parrott, curated by Ciara Healy, at Oriel Myrddin Gallery, Carmarthen, Wales. : 'Great Good Places I,II,III,IV' screening as part of Downstairs Dublin, The Irish Times at Culture Night, at Arts Council Ireland, Merrion Square, Dublin, Ireland. : Art in the Home #2 York, by invitation from the Contemporary Art Society North. : Bonaj Lokoj, with Tereza Busková, András Cséfalvay, Jonás Gruska, Csilla Nagy, Laura Pawela, Ivan Svoboda curated by Katarína Slaninová and Vanda Sepová Prádelna Bohnice, Prague, Czech Republic. : Coexist, with Gerard Byrne, Amanda Coogan, John Gerrard, Nevan Lahart, Sean Lynch, curated by Eamonn Maxwell at Kevin Kavanagh Gallery, Dublin, Ireland. : The Poetry Project curated by Gemma Tipton and Patrick T. Murphy (RHA), an online project of poetry and video art commissioned for Ireland's presidency of the EU 2013; also screened at Kinsale Arts Week & RHA Dublin. : Motion Capture: Drawing and the Moving Image, with Pierre Bismuth, Tacita Dean, Brian Fay, Tom Hackney, William Kentridge, Alice Maher, Henri Matisse, Henri Michaux, Susan Morris, and Denis Oppenheim, curated by Ed Krcma and Matt Packer, Lewis Glucksman Gallery, Cork, touring to Regional Cultural Centre, Letterkenny, Co. Donegal, Ireland. : Crawford 100, curated by Clíodhna Shaffrey, with Raphael Llewellyn, Lana Shuks, Tom Dalton and Tina Darb O'Sullivan, CIT Wandesford Quay Gallery Cork. : eva international 2012 – After the Future, curated by Annie Fletcher, Limerick, Ireland. : Imprint, curated by Kate McMorrine, Kingston University, UK. : Irish Wave 2, curated by Fion Gunn, Siemens Art Space, Beijing, China. : Void: Volume, with Maximillian le Cain & Vicky Langan, Jennifer Macklem, Vanya Lambrecht Ward, Shelby Woods, Roisin O'Sullivan, Lydia Holmes, Adrian Duncan, Sarah Lundy, Meadhbh O'Connor & Barbara Knezevic, curated by Sarah Lundy, Galway Arts Centre, Galway, Ireland. : Futures 10, with Oisín Byrne, Rhona Byrne, Fiona Chambers, Damien Flood, Magnhild Opdol, curated by Patrick T Murphy & Ruth Carroll, Royal Hibernian Academy, Dublin, Ireland. : Postcards from the Celtic Tiger, curated by Peggy Sue Amison, with Martin Cregg, Jennifer Cunningham, Mark Curran, David Farrell, Sean Hillen, Maurice Galway, Sarah Iremonger, Max le Cain, Danny McCarthy, Ciara Moore, Harry Moore, Richard Mosse, Jackie Nickerson & Eoin O'Conaill, Xuhui Arts Museum, Hengshan Road, Shanghai, China. : Kilruddery Film Festival with Grace Weir, John Latham and J. Tobias Anderson, Mermaid Arts Centre, Ireland. : Bittersweet, with Franko B, Doug Dubois, Breda Lynch, John Kelly and others, Doswell Gallery, Cork (travelling). : Sophisticated Boom Boom (in b&w), with Peter Linde Busk, Stephen Dunne, Lothar Götz, Heide Hinrichs, Steve Johnson, Sharon Kivland, Ansel Krut, Jeffrey TY Lee, Siân Pile, Felicity Powell, Mark Prince, Lizi Sanchez, Shaan Syed and Mhairi Vari, domobaal. : Time is a Sausage (A Show of Shows) Anisa Sarah Hawes, Anon, Ansel Krut, Benjamin Swaim, Charlie Tweed, Christopher Hanlon, Claudia Sarnthein, Denis Glaser, Eglé de Richemont, Eric Gill, Felicity Powell, Gerard Wilson, Gordon Cheung, Harald Smykla, Haris Epaminonda, Henry Krokatsis, Ian Homerston, James Brooks, Jeffrey TY Lee, John Strutton, Kim Noble, Lara Viana, Lee Edwards, Lucy Pawlak, Marcel Dinahet, Marino Marini, Matthew Wilkinson, Maurizio Anzeri, Mhairi Vari, Miho Sato, Neil Hedger, Nicolas Deshayes, Phyllida Barlow, Prunella Clough, Rachel Adams, Ron Haselden, Sharon Kivland, Siân Pile, Stephen Dunne, Steve Johnson, Susan MacWilliam, Tom Dale, Walter Swennen, Xanthe Mosley, domobaal. : Skibbereen Arts Festival, County Cork, Ireland; screening of 'Immergence' and 'Residuum'. : In Search of Utopia, with Michelle Browne, Dorothy Cross, Dennis Del Favero, Cao Fei, Louise Manifold, curated by Maeve Mulrennan, Nuns Island Theatre, Galway Arts Centre, Galway, Ireland. : Margenes, Experimental Film Festival, curated by Esperanza Collada, La Enana Marron, Madrid, Spain. : Art Rotterdam, STAND projects, De Expeditie/Amsterdam, domobaal/London, Tatjana Pieters/OneTwenty/Gent. : Cork Art Trail, Cork Film Centre screenings, various venues, Cork, Ireland. : No End in Sight, with Max Hymes, Adam Thompson, Annabel Elgar, Richard Wathen and Simon Willems, Vegas Gallery, London. : Refuge, Annabel Elgar, Elina Brotherus, Hanna Brotherus, Lauri Astala at The Wapping Project, London. : STAND, De Expeditie/Amsterdam, domobaal/London, Tatjana Pieters/OneTwenty/Gent at Villa La Tourelle, Oostende, Belgium. : No Borders (Just N.E.W.S. *) 29 young artists from Europe, selected by the Association Internationale des Critiques d’Art, University of Cuenca, Spain. : No Borders (Just N.E.W.S. *) CACT, Thessaloniki, Greece (catalogue). : Darkness Visible curated by Ann Mulrooney, with Alice Maher, Breda Lynch, Eoin McHugh, Ann Mulrooney and others, Galway Arts Centre, Ireland (catalogue). : No End In Sight, with Ruth Claxton, Max Hymes, Adam Thompson, Richard Wathen, Simon Willems, Galerie Polaris, Paris. : 13+ Florence Lynch Gallery, New York, with Marcel Dinahet, Jaspar Joseph–Lester, Haris Epaminonda, Ron Haselden and others. : The Garden of Eden has Vanished They Say, with Elizabeth Magill, Janet Mullarney, Kathy Prendergast, Walker & Walker, Oliver Comerford, John O'Connell and Gerda Teljeur, curated by Clíodhna Shaffrey, Cavan County Museum, Ireland. : The Canvas is the Screen, with Jacco Olivier, Malcolm Le Grice, Jean–Luc Godard & Anne–Marie Miéville, curated by Berta Sichel and Céline Brouwez, touring to Sala Parpalló, Valencia, Unión Fenosa, La Coruña, Caixa Forum, Tarragona and Caixa Forum, Barcelona, Spain. : The Canvas is the Screen, with Jacco Olivier, Malcolm Le Grice, Jean–Luc Godard & Anne–Marie Miéville, curated by Berta Sichel and Céline Brouwez, Reina Sofia Museum, Madrid, touring to CACT, Centre of Contemporary Art, Thessaloniki, Greece. : Preview Berlin, with Haris Epaminonda, Ansel Krut, Miho Sato, domobaal. : Aftermath, Art Trail 2007, Cork, Ireland. : Oyster Grit, with Daniel Gustav Cramer, Haris Epaminonda, Ansel Krut, Jeffrey TY Lee, Lucy Pawlak, Miho Sato, Mhairi Vari, essay by Rebecca Geldard, domobaal. : Art Rotterdam, with Haris Epaminonda, Ansel Krut, Ron Haselden, domobaal. : Drawing Breath, Jerwood Drawing Prize, 10 year anniversary prizewinners exhibition, touring to Gallery 1 National Art School, Sydney; NAFA Galleries, Singapore; Royal West of England Academy, Bristol; Robert Gordon Unviversity, Aberdeen. : Drawing Breath, Jerwood Drawing Prize, 10 year anniversary prizewinners exhibition, London, touring to Australia, Singapore, UK. : Still in Motion, with Vishal Shah and Renata Kudlacek Leonard St. Gallery, London. : Tekenlust, with Lauri Astala, Anthony Braxton, Katie Cuddon, Honoré d'O, Saara Ekström, Simon Faithfull, Jef Geys, Terike Haapoja, Fabrice Hybert, Minna Langström, Denisa lehocká, Pierre Malphettes, Dietmar Offenhuber, Lucie Renneboog, Pekka Sassi, Anke Schäfer, Liesbet Verschueren, Piki Verschueren, Kunsthalle Lophem, Bruges, Belguim. : Concourse Projection Series, curated by Clíodhna Shaffrey, Dunlaoighre, Dublin, Ireland. : Peripheral Visions, curated by Nigel Rolfe and Cliodhna Shaffrey, European Capital of Culture International Video Selection, Cork, Ireland. : FEM 5 Madrid, Spain. : To be continued…/Jatkuu… curated by Brett Rogers & British Council, Taidehall, Kunsthalle Helsinki and MUU Gallery, Helsinki, Finland. : Passing Through, curated by Patrick T. Murphy, with Linda Quinlan, Alice Maher, Maud Cotter, Yvonne McGuinness, Martin Healy and others, Glucksman Gallery, Cork, Ireland (catalogue). : International Video Festival, Bochum, Germany. : 13+ (video exhibition) domobaal. : Jerwood Drawing Prize, touring to: Birmingham, Hull, The Lowry Gallery, Manchester, winner: student prize award, for 'Immergence' (catalogue). : Syncopations, I6 UK Artists, Wetterling Gallery, Stockholm, Sweden. : New Media Art Festival Seoul, Korea. : Jerwood Drawing Prize, Jerwood Space, London (catalogue). : Tindell Effect Hackney, London (catalogue). : Davis Langdon, selected show, Holborn, London. : World Wide Video Festival, 2004 Amsterdam, Holland. : H art Magazine, Begium, review of Inscriptions of an Immense Theatre at Temple Bar Gallery, Dublin by Roland Patteeuw, published 24.01.19.
: District Magazine Issue 005, Ailbhe Ní Bhriain interview with Aoife Donnellan. : Addendum, by Doireann Ní Ghríofa's poetic response to Ailbhe Ní Bhriain's exhibition 'Inscriptions of an Immense Theatre' at Temple Bar Gallery, Dublin. : Ailbhe Ní Bhriain's solo exhibition 'Inscriptions' curated by Paul Fahy at Galway Arts Festival, shortlisted for Irish Times Awards 2017.
: frieze.com, Periodical Review 7 at Pallas Projects, Dublin Gallery Weekend 2017, by Gemma Tipton. : Irish Times Creative Ireland supplement, July 2017.
: Sunday Business Post (Ireland) 11 July 2017.
: Ailbhe Ní Bhriain at The Dock, Carrick–on–Shannon, by Kirstie North, Enclave Review 15, Spring 2017.
: Ailbhe Ní Bhriain at The Dock, Carrick–on–Shannon, 'Exile, Dereliction & the Authentic Image' Trish Brennan interviews Ailbhe Ní Bhriain, Visual Arts Newsletter 2017.
: Ailbhe Ní Bhriain at The Dock, Carrick–on–Shannon, 'Shrouding to Make Visible' by Joanne Laws, May 2017.
: Ailbhe Ní Bhriain at The Dock, Carrick–on–Shannon, by Eamonn Maxwell, 'curator on a bike' May 2017.
: Abridged 0–14: Floodland, feature in poetry and art publication, February. : Reports to an Academy, review by Aidan Dunne, published in The Irish Times on 1st December 2015.
: Reports to an Academy, monograph publication with essay by Caoimhin Mac Giolla Léith, published by the Royal Hibernian Academy, Dublin, Ireland. : This is Tomorrow, Review of Thin Place by Rowan Lear, Oriel Myrddin, Carmarthen, Wales, February. : Thin Place (Catalogue), Oriel Myrddin, Carmarthen, Wales, February. : The visible and the invisible in photographic works by Patrick Hogan, Ailbhe Ní Bhriain and David Creedon, A paper by Valérie Morisson delivered at The Spatial Imaginary symposium, University of Nantes, October. : A People's sense of belonging: Dislocation in Post Celtic Tiger art, A paper by Valérie Morisson, delivered at Art & Crises symposium, University of Caen, March 2012, published in Canadian Journal of Irish Studies, Winter. : Alphaville Journal of Film and Screen Media, Motion Capture at the Lewis Glucksman Gallery, Cork reviewed by Jill Murphy, (issue 4) Winter. : 'this is tomorrow' Motion Capture at the Lewis Glucksman Gallery, Cork, reviewed by Ciara Healy, 15 November. : The Works review of EVA International – After the Future by Cristin Leach Hughes, RTE 1, 7 June. : Enclave, a review of Crawford 100 at the Wandesford Quay Gallery by Fergal Gaynor, Issue 6.
: Motion Capture: Drawing and the Moving Image (catalogue) Lewis Glucksman Gallery, Cork, Ireland. : Paper Visual Art Journal (Limerick Edition), Great Good Places at EVA International reviewed by Sean O'Sullivan. 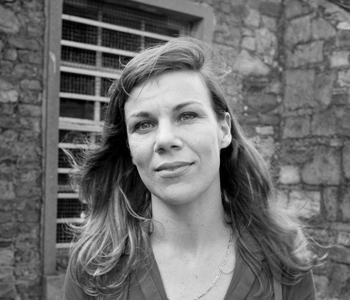 : Irish Times:' EVA's brawn feels familiar in Limerick' by Aidan Dunne, Monday 11 June. : Billion #38, After The Future reviewed by James Merrigan, Friday 15 June. : Artforum, Gemma Tipton in Scene and Heard. : RTE Radio 1, Arts Tonight, Vincent Woods, Aidan Dunne, Gemma Tipton on EVA Limerick. : Visual Artists News Sheet, Great Good Places at domobaal reviewed by Jacqui McIntosh, Nov/Dec Issue. : Great Good Places, a set of four chapbooks, with 34 stills from video, domobaal editions. : Circa Magazine, Ireland, review of 'Futures 10' by Dr Paul O'Brien, NCAD Dublin (issue no 131). : Abridged 'Nostalgia is a loaded gun', art and poetry magazine, Derry, Ireland, January/February issue. : 'Future forecast' a review written by Aidan Dunne of Futures 10 at the Royal Hibernian Academy, Irish Times, Dublin, 4 September. : 'Future forecast' Ruth Carroll on Futures 10 at the Royal Hibernian Academy, Dublin, Irish Arts Review magazine, Autumn 2010 issue. : Ailbhe Ní Bhriain, review by Aidan Dunne of solo show at the Butler gallery, Kilkenny, Irish Times. : Ailbhe Ní Bhriain, review by Eimear McKeith of solo exhibition at The Butler Gallery, Kilkenny, Ireland, Circa, Autumn Issue. : Darkness Visible, a review by Fergal Gaynor of Darkness Visible at the Galway Arts Centre, Circa, Winter issue. : Aftermath, review of Ailbhe Ní Bhriain's solo show, 2007, by Maximilian Le Cain, Experimental Conversations an online journal of cinema and video. : Palimpsest, by Clíodhna Shaffrey, essay for Butler Gallery solo exhibition. : Review by Brendan Maher, of Ailbhe Ní Bhriain's solo exhibition at the Butler Gallery Kilkenny, Ireland, Start, Arts and Culture of the South East, Summer issue. : No Borders (Just News*) exhibition catalogue, AICA, Paris. : Cork Art trail catalogue. : Bochum Film Festival, catalogue. : Artists Newsletter (UK) November. : To be continued…/Jatkuu… exhibition catalogue, British Council. : Peripheral Visions, exhibition catalogue. : Passing Through, exhibition catalogue, Glucksman gallery, Cork, Ireland. : Syncopations, exhibition catalogue, Wetterling gallery, Stockholm, Sweden. : Jerwood Drawing Prize, catalogue. : World Wide Video Festival catalogue. : Louis Le Brocquy and the Tain, New Hibernian Review, University of St. Thomas, Minnesota, USA (quarterly journal). : Arts Council Ireland, Visual Arts Bursary Award. : Arts Council Ireland, Open Call Award (with Sirius Arts Centre). : Visual Arts Project Award 2017, awarded by The Arts Council of Ireland. : Culture Ireland Funding Award. : Visual Arts Bursary Award 2016, awarded by The Arts Council of Ireland. : Solas Photography Award (shortlisted for 'The Passenger' series). : Cork City Council Individual Artist Bursary. : Arts Council Ireland Project Award. : Culture Ireland Funding Award, as part of International Culture Programme. : Arts Council of Ireland, Visual Artists Bursary Award. : Artist in Residence, Cork Film Centre 2007–9. : Cork City Council Artist's Development Bursary. : Bochum Film Institute Award. : Jerwood Student Prize for Drawing. : Cork Film Centre Video Art Award. : Alf Dunne Award, MA Show, Royal College of Art. : Tim Mara Award, MA Show, Royal College of Art. : Augustus Martin Award, MA Show, Royal College of Art. : Linklaters Award, Interim Show, Royal College of Art. : Cultural Exchange Award, Newfoundland travel grant. : Crawford Student of the Year Award, Cork Institute of Technology. : Mercier Thesis Award, Cork Institute of Technology. : Moving Image Award, Cork Film Centre. : Arts Council Travel Award. : Mercier Seminar Paper Award, Cork Institute of Technology.